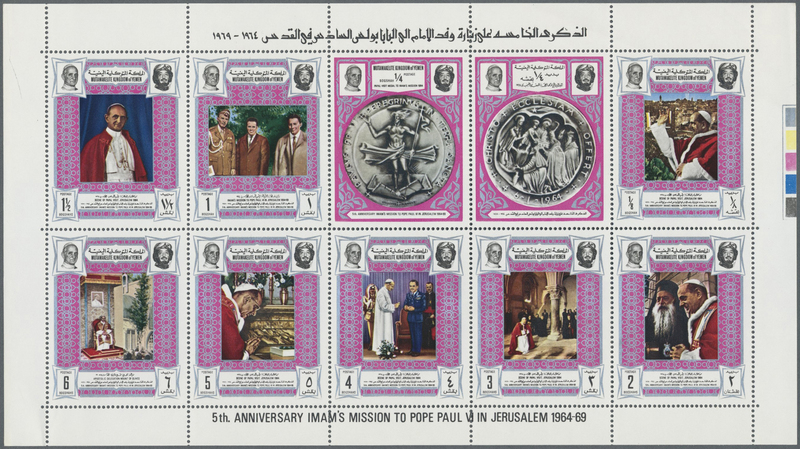 30459 postfrisch (never hinged) ** 1968/1970, GOLD/SILVER ISSUES, u/m assortment of 57 stamps and three souvenir sheets, e.g. Kennedy and nice section Football World Championship. 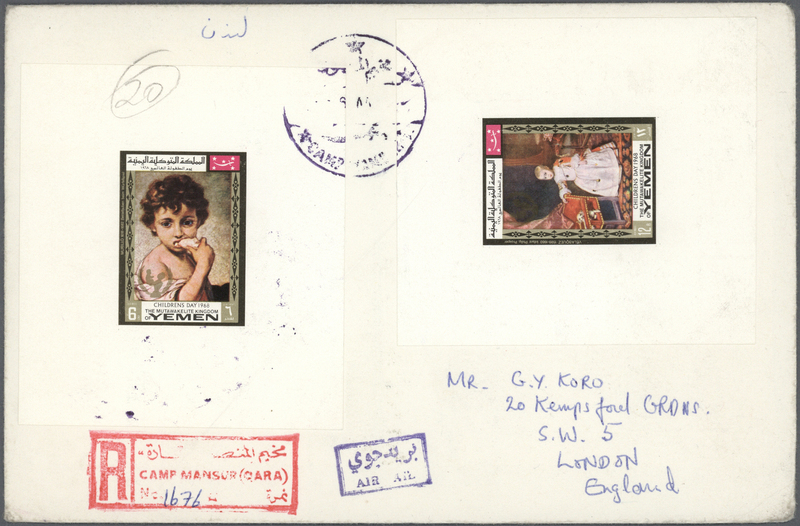 30460 postfrisch (never hinged) ** 1968/1970, u/m collection of apprx. 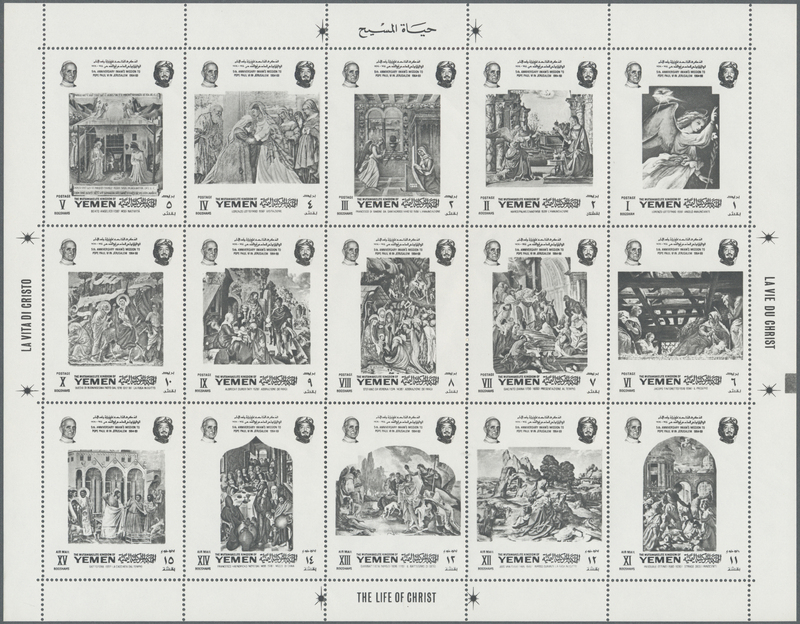 300 de luxe sheets, e.g. personalities (Kennedy, Churchill etc. 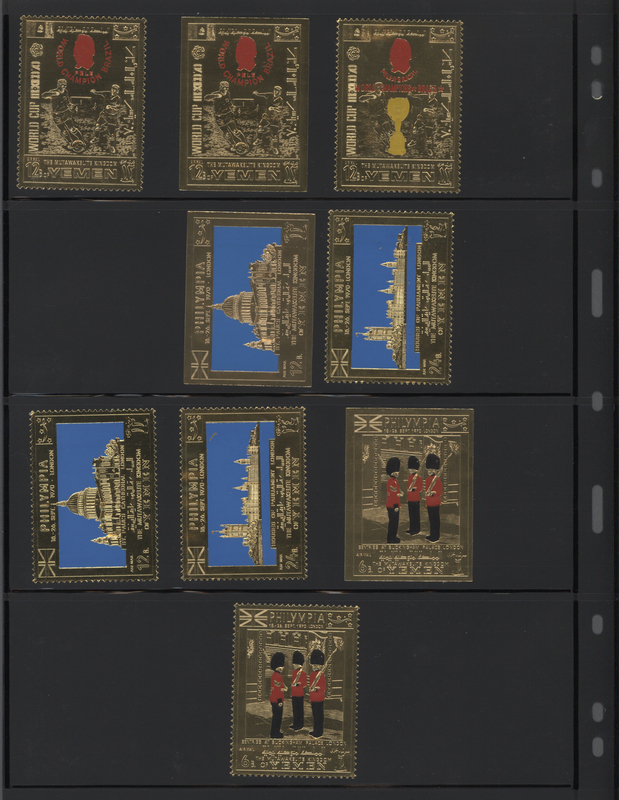 ), London Stamp Exhibition "PHILYMPIA '70" (views of London) etc., also gold and 3D issues. 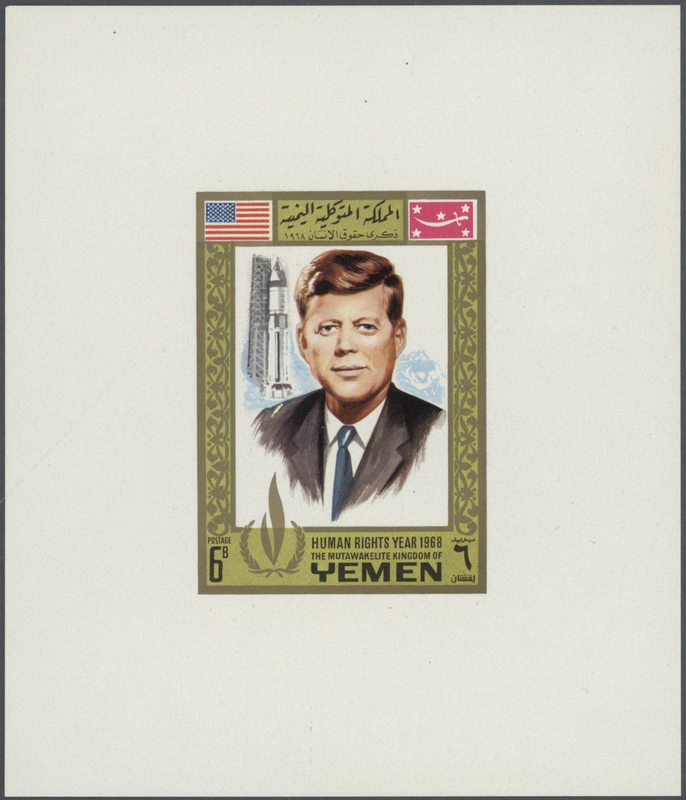 30461 postfrisch (never hinged) ** 852 A/B (2000) 1969, J. F. Kennedy, perforated (more than 500 copies) and imperf. 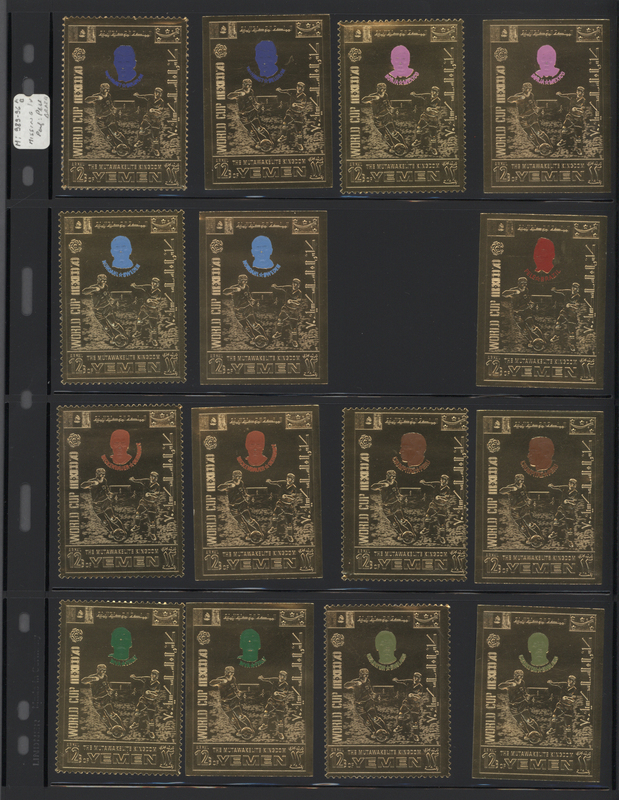 gold foil stamps investment lot with at least 2000 copies, mint never hinged, unusual and scarce. Michel at least 24.000,-€. 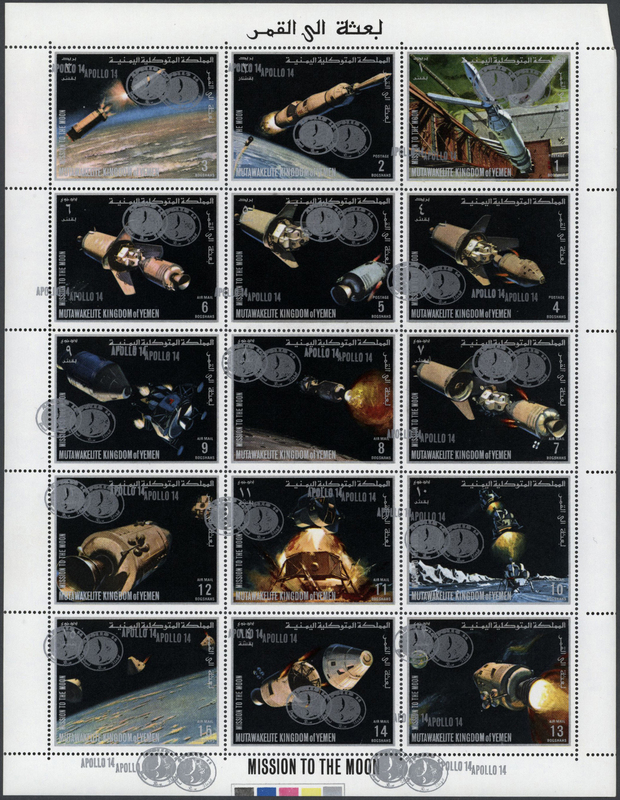 30463 postfrisch (never hinged) ** 935/49 A+B 1969, Apollo programme 'Exploration of the moon' sheetlet with 15 different stamps with GOLD opt. 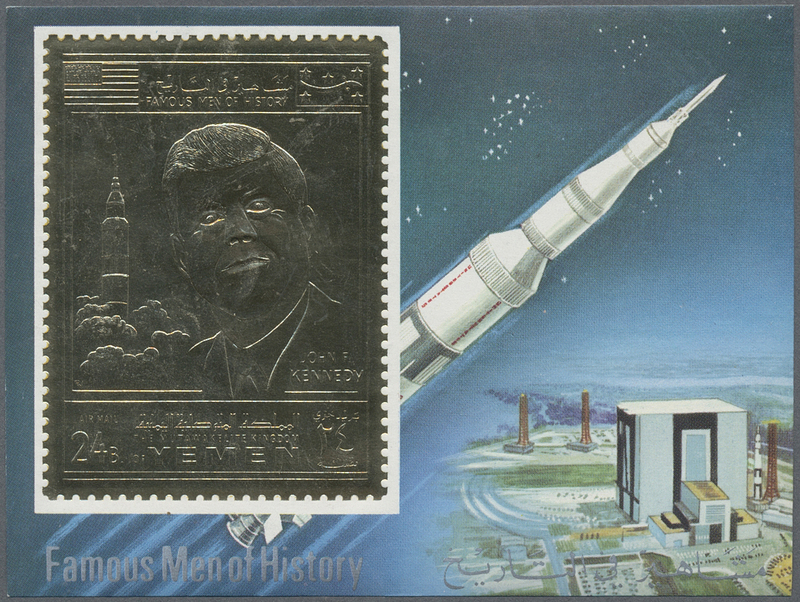 of Apollo 12 emblem in a lot with 90 perf. and 48 imperf. 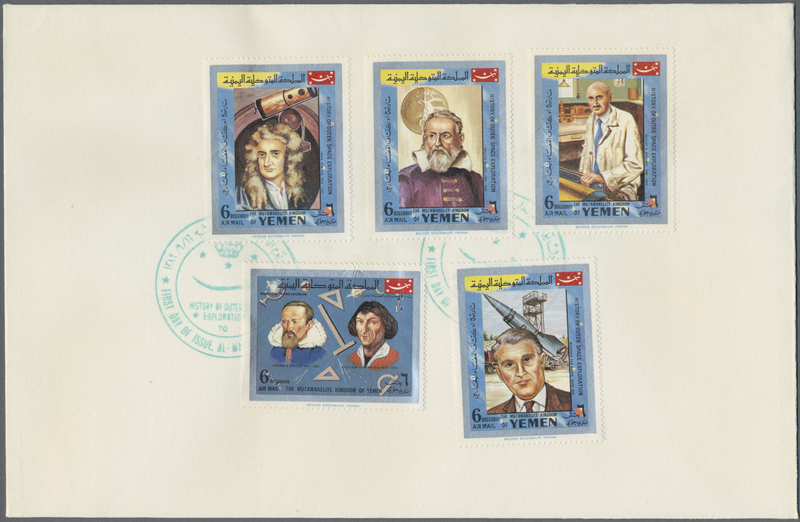 sheetlets (total 2.070 stamps), mint never hinged, Mi. 935/49 A+B, unpriced in Michel! 30465 postfrisch (never hinged) ** 1129/43 A var. 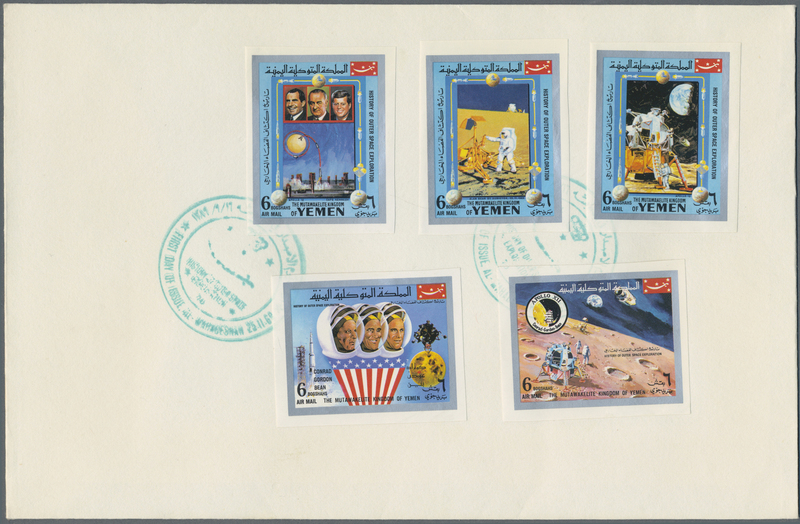 1969, Apollo programme 'Exploration of the moon' sheetlet with 15 different stamps with SILVER opt. 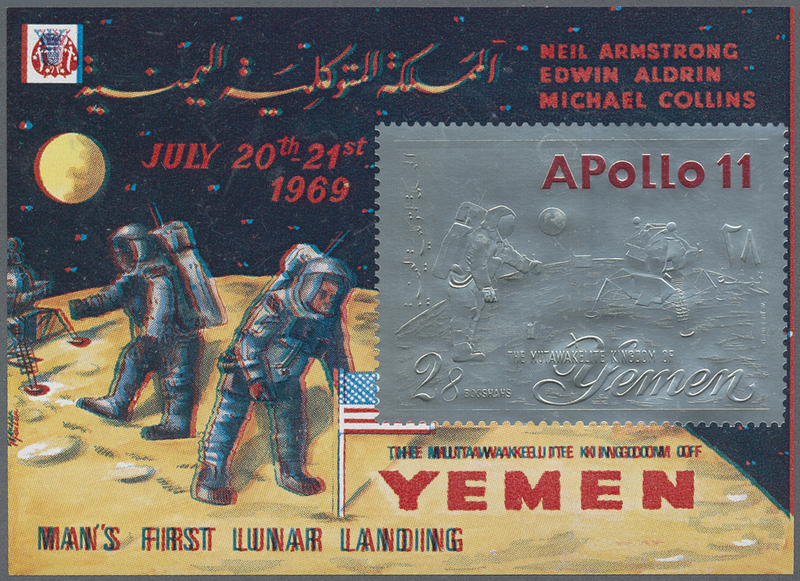 of Apollo 14 emblem in a lot with 60 perforated sheetlets all with opt. VARIETIES incl. inverted opt., double opt. or double opt. incl. 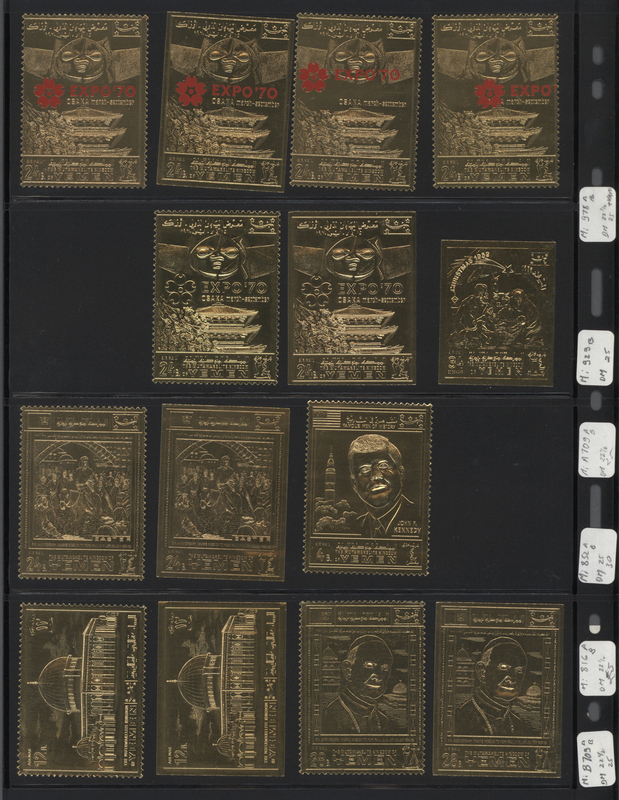 one inverted (20 sheetlets each), mint never hinged and very scarce, Mi. 1129/43 A var. 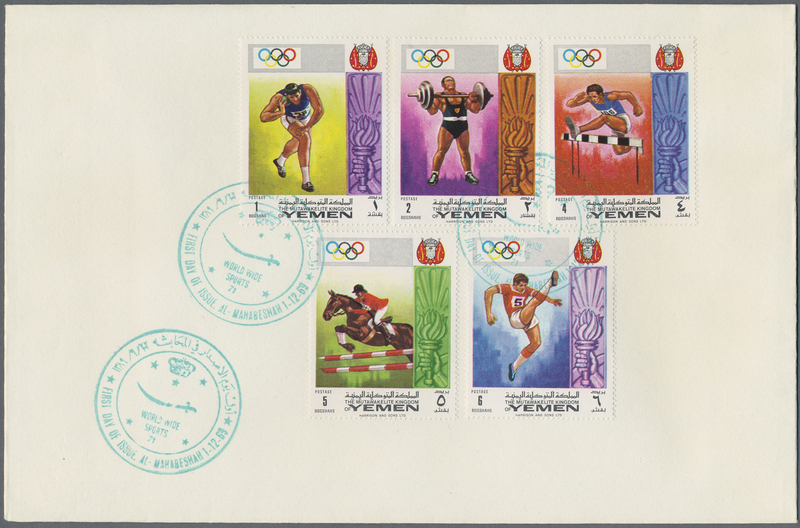 30466 postfrisch (never hinged) ** Bl. 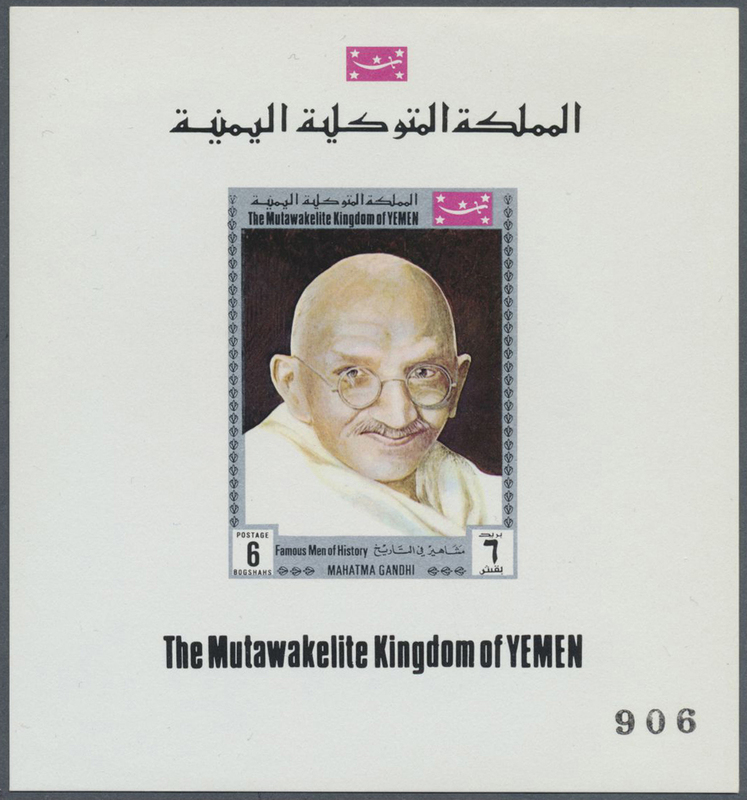 185II (7000) 1969, Christmas, 7000 copies of this block mint never hinged. Michel 45500,- €. 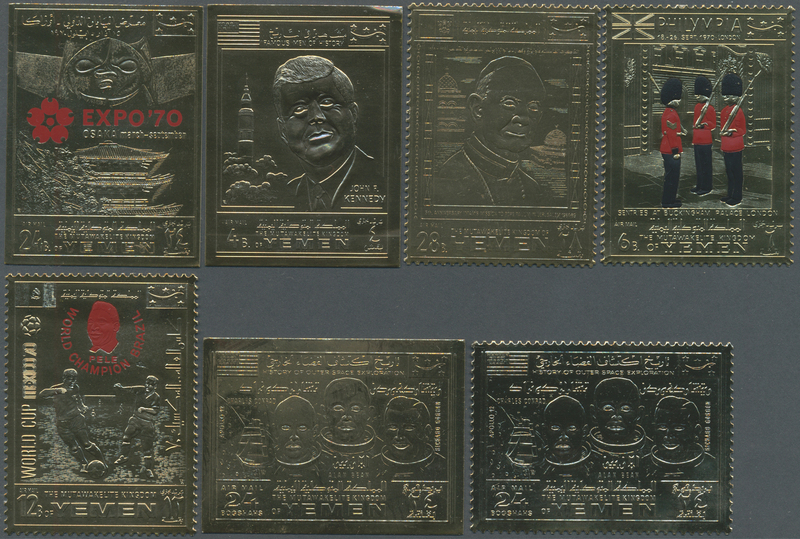 30470 postfrisch (never hinged) ** 1969, GOLD ISSUES, lot of seven copies of Mi.no. 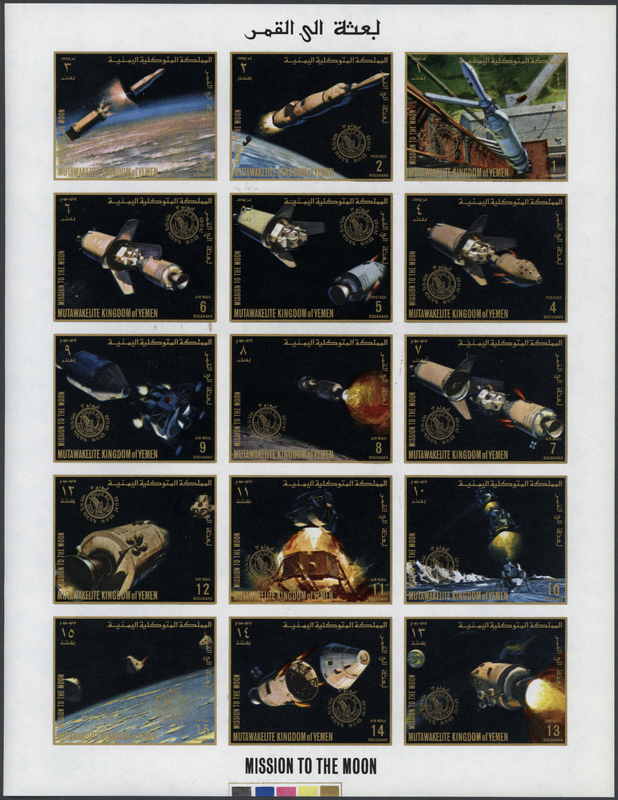 894B (astronauts on the moon) showing varieties, mainly misperforated but also one without the gold foil. 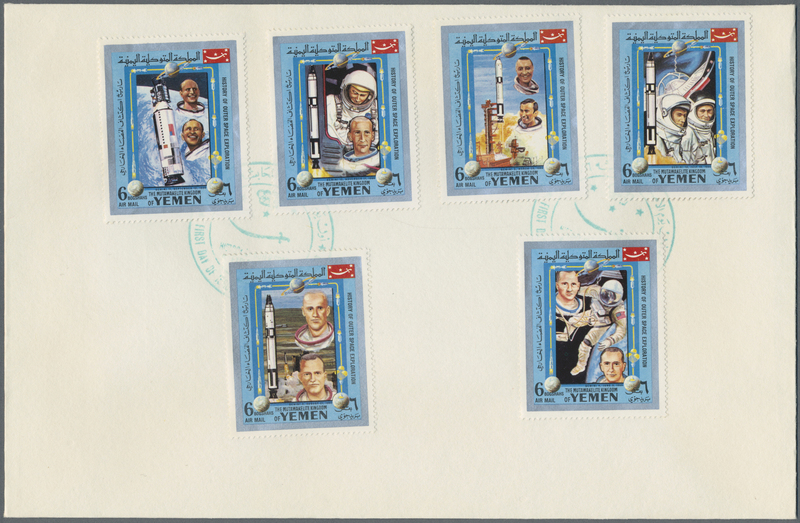 30471 FDC 1969, History of space travel, 80 blanco FDC each with five stamps ex Mi.no 861/892 mostly perforated, only some imperf. 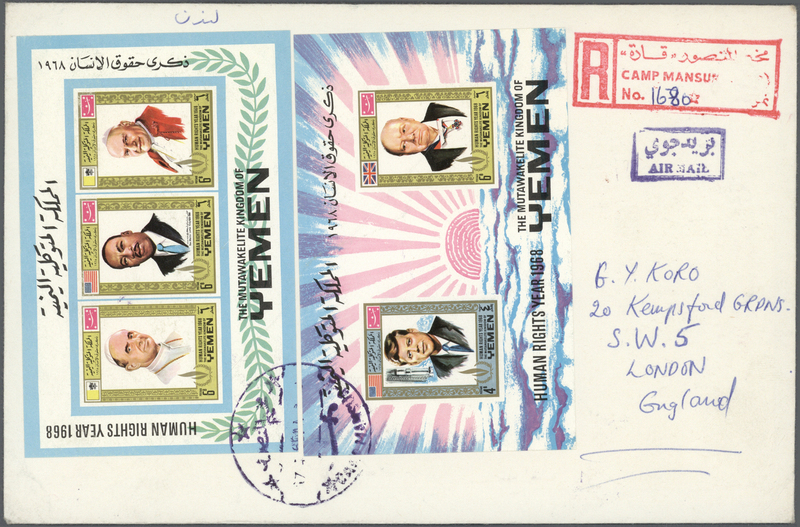 Michel for used -.-, scarce and unusual offer. 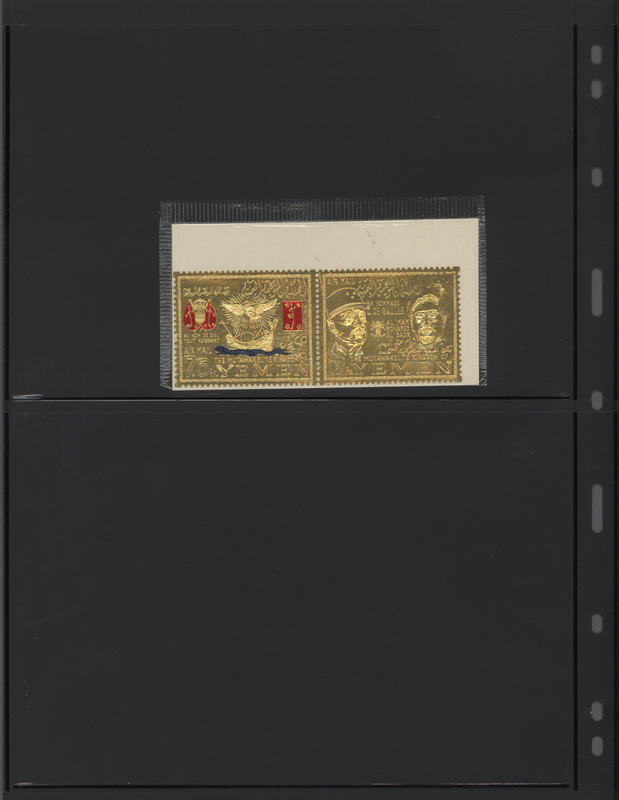 30473 postfrisch (never hinged) ** Bl. 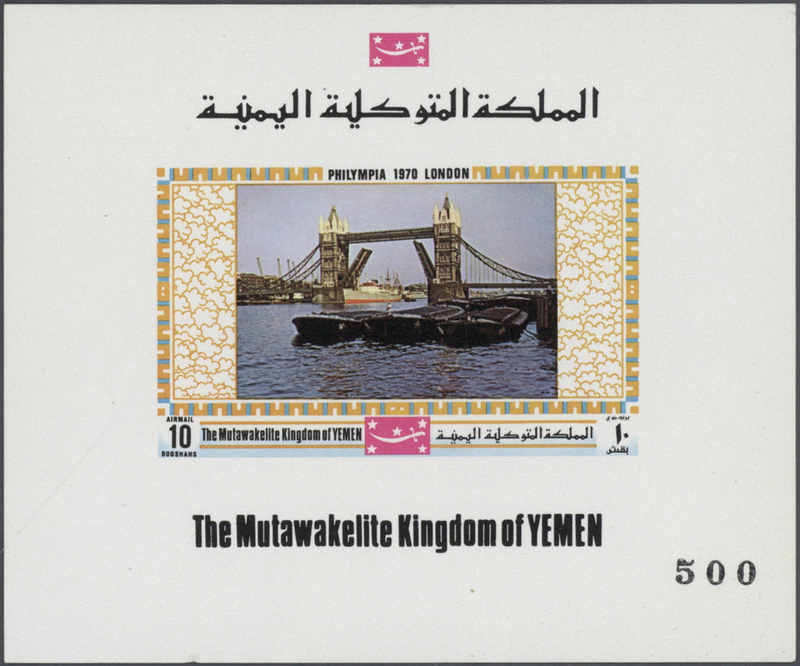 169 1969, HOLY SITES imperf. miniature sheet 24b. 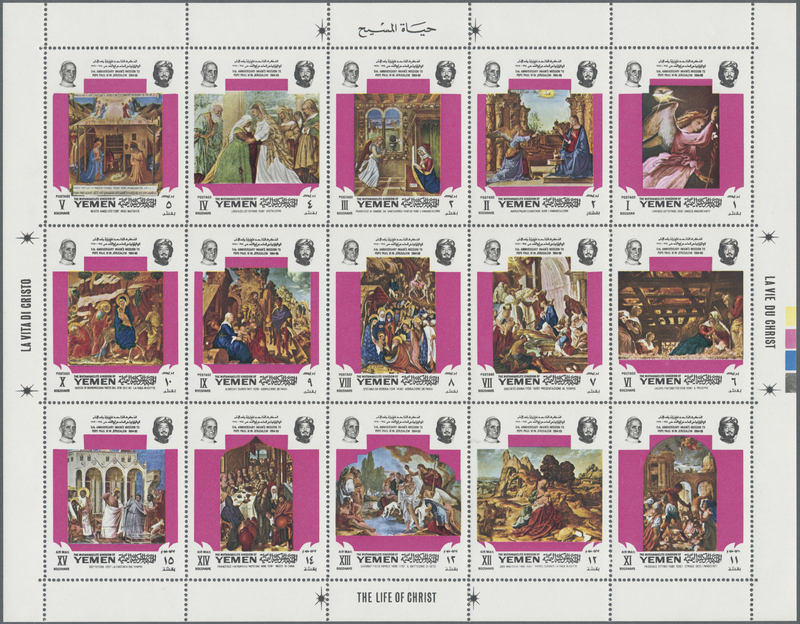 'Christmas Bells in Bethlehem' investment lot with about 4.600 miniature sheets mostly in original packets of 500, mint never hinged and scarce, Mi. Bl. 169, unpriced in Michel! 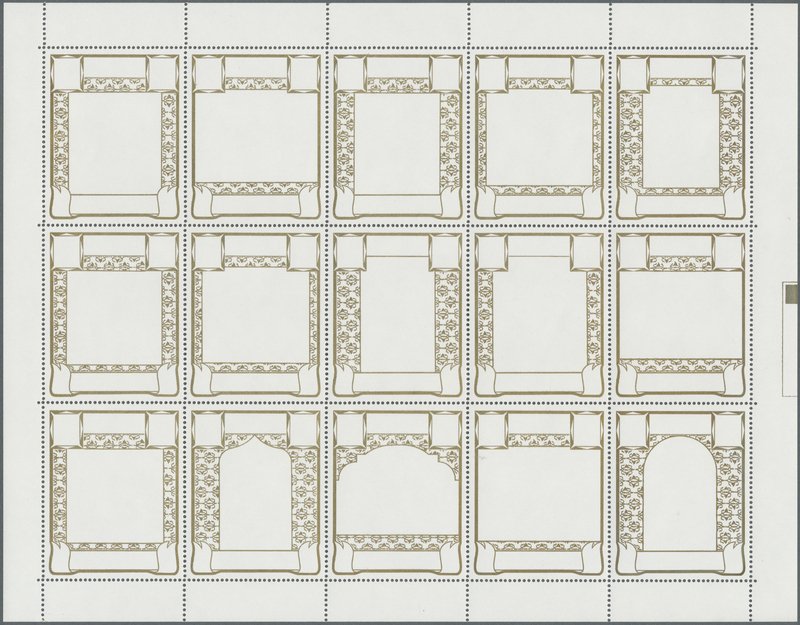 30474 postfrisch (never hinged) ** Bl. 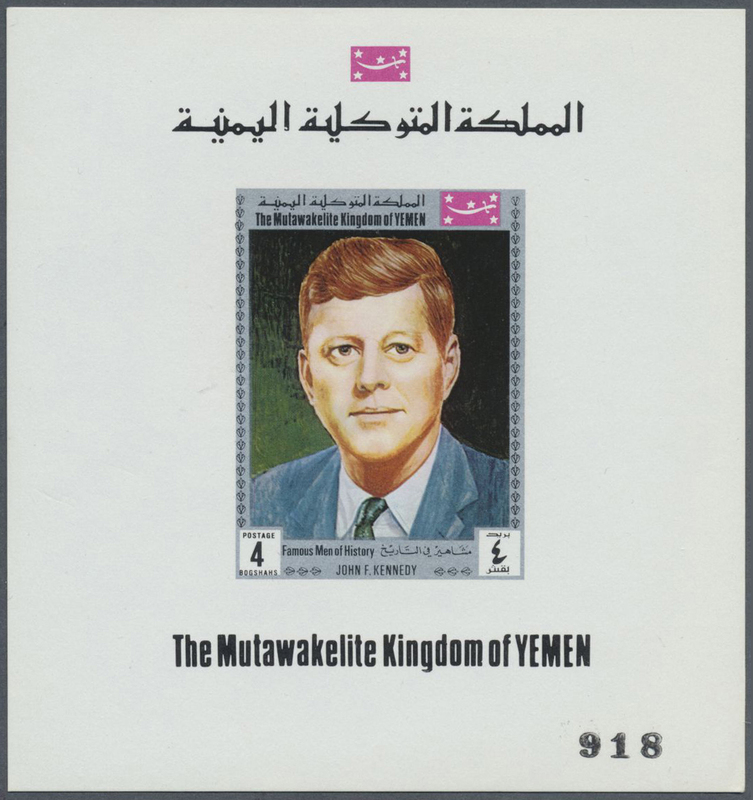 168 1969, HOLY SITES imperf. 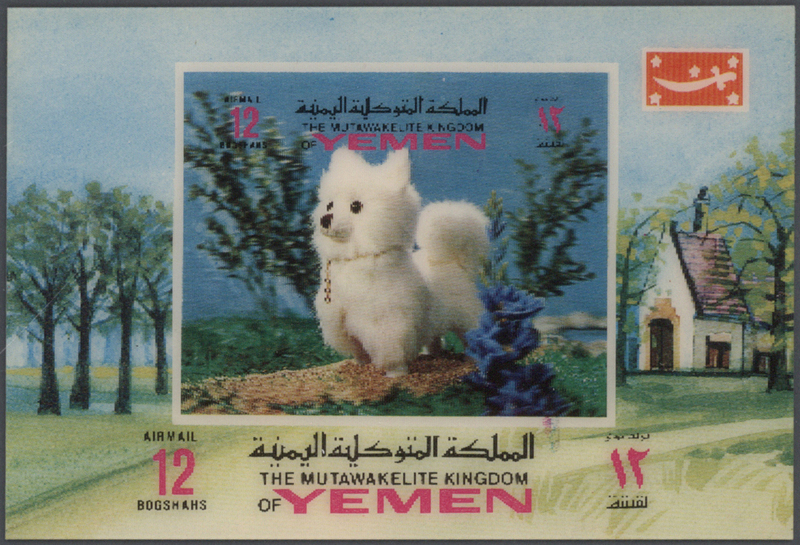 miniature sheet 24b. 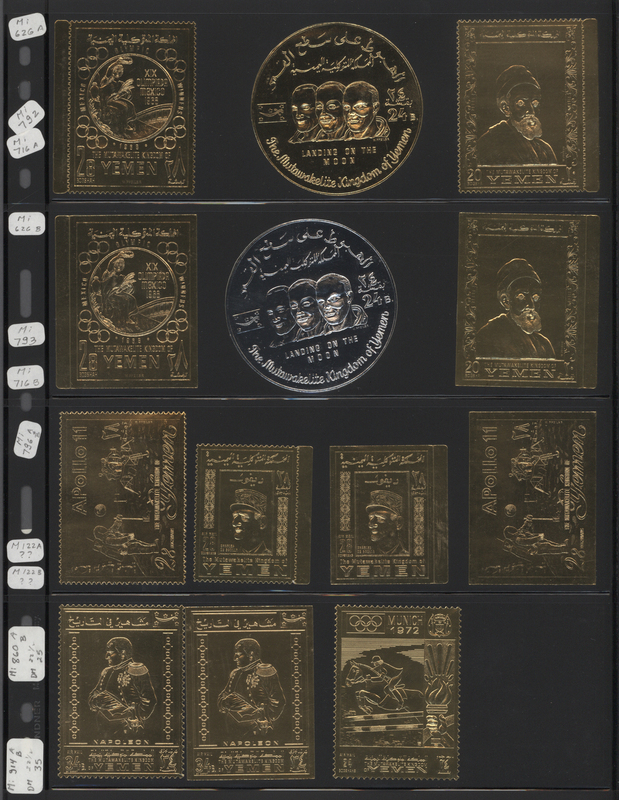 'View of Jerusalem with the Dome of the Rock' investment lot with about 5.700 miniature sheets mostly in original packets of 500, mint never hinged and scarce, Mi. Bl. 168, unpriced in Michel! 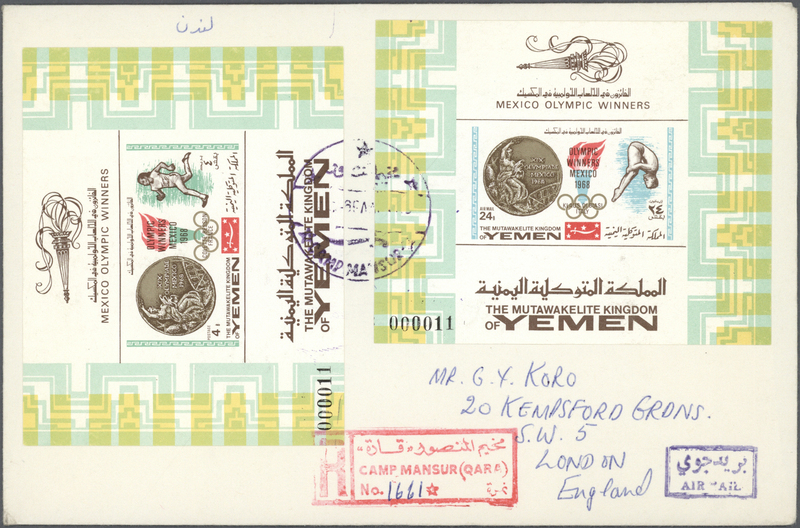 30476 Brief (cover) 1969, lot of 15 registered airmail covers to London, all bearing souvenir sheets (mainly also on reverse). 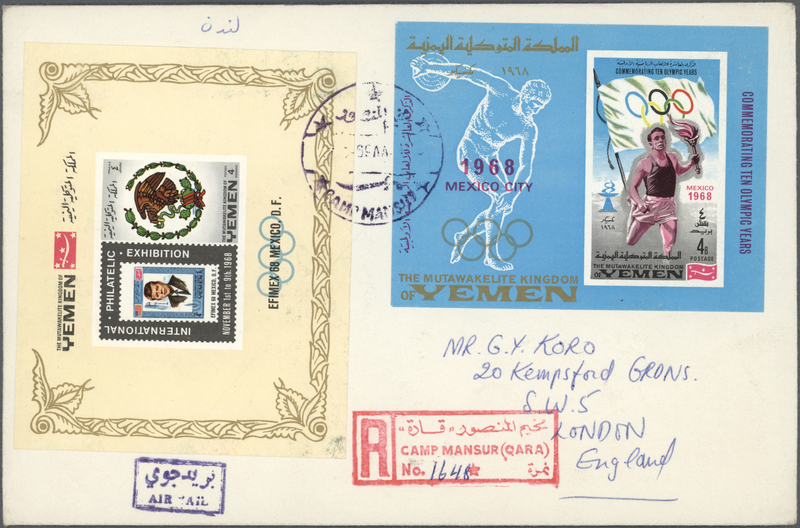 These issues are postally used on cover rarely seen! 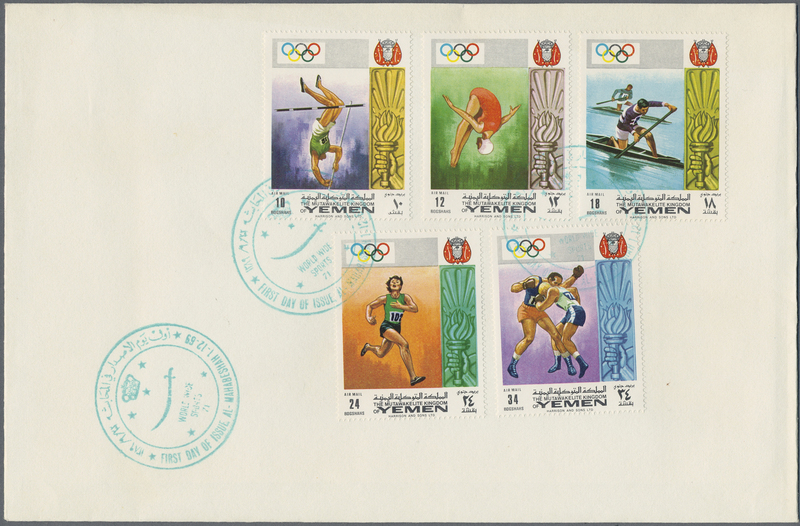 30481 postfrisch (never hinged) ** 1969, Olympic Games 1972 Munich, 20 sets on 40 blanco FDC and two FDC with the souvenir sheet. 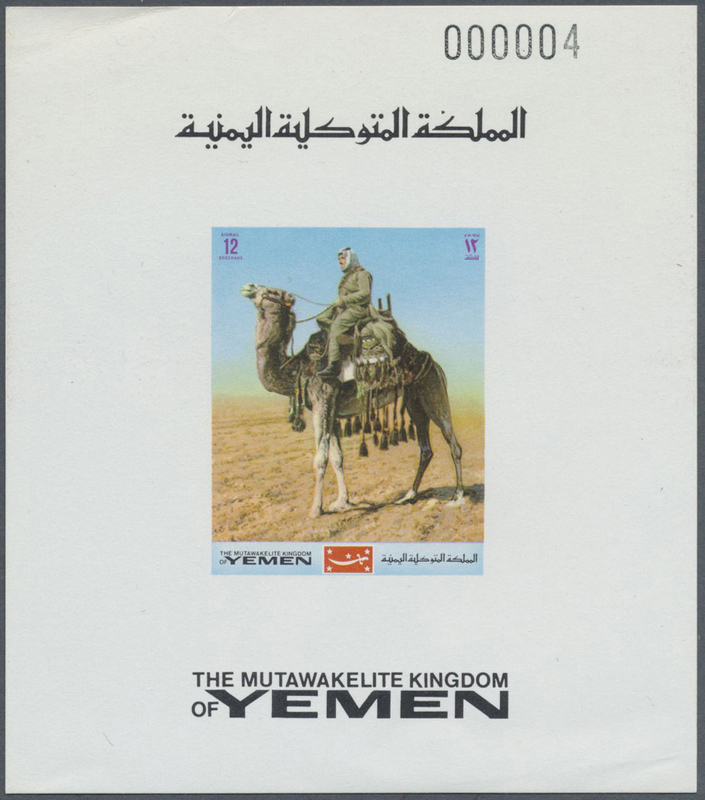 Michel for used -.-, Scarce offer. 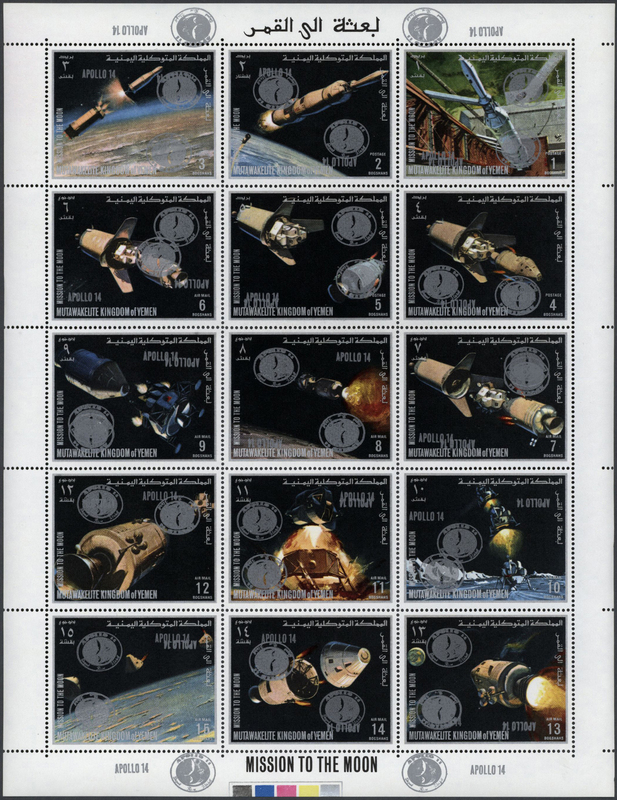 30485 gestempelt (marked) 895/902A (100) 1969, Return of Apollo 13, 100 sets in sheets of 10 stamps per issue, canceled to order. No price given in the Michel catalogue. 30488 ungebraucht ohne Gummi (unused without gum) (*) Bl. 157 pres. 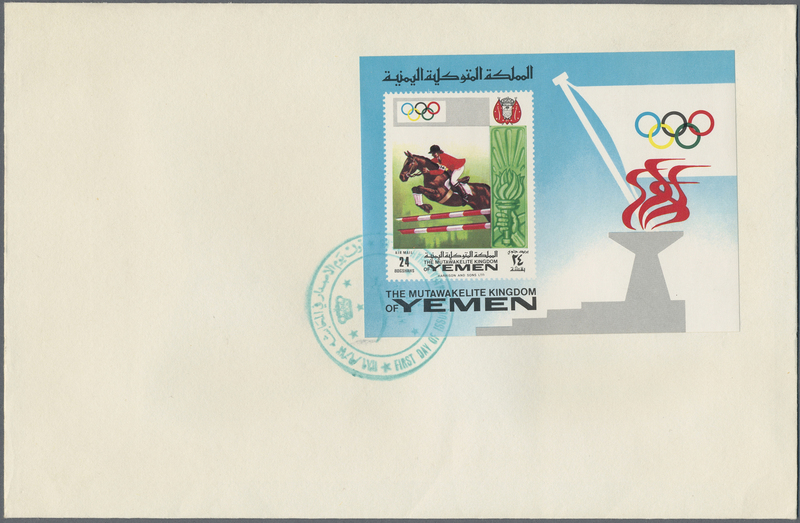 1969, Summer Olympics Munich 1972 imperf. PRESENTATION miniature sheet 24b. 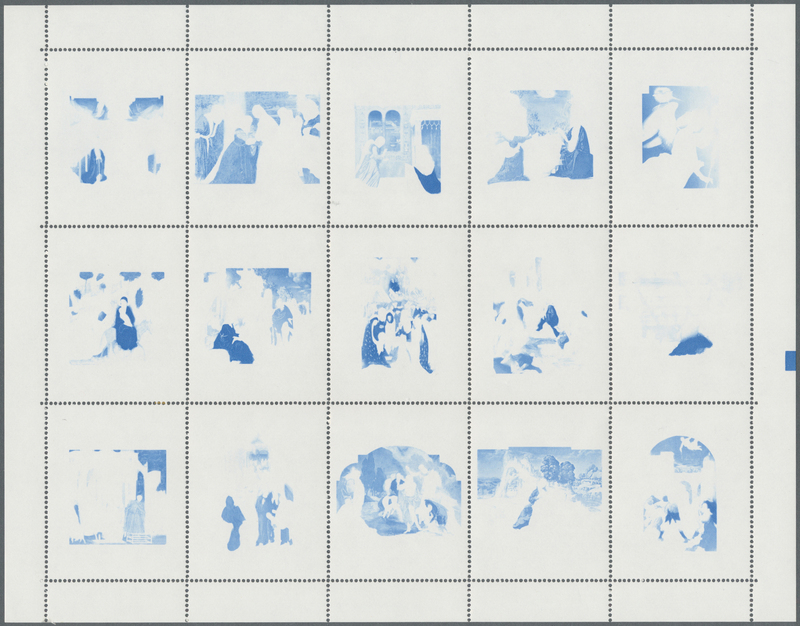 'Torch race' (+ sights of Munich in margin) on thicker ungummed paper in an investment lot with about 1.500 miniature sheets, unusual and SCARCE! Mi. Bl. 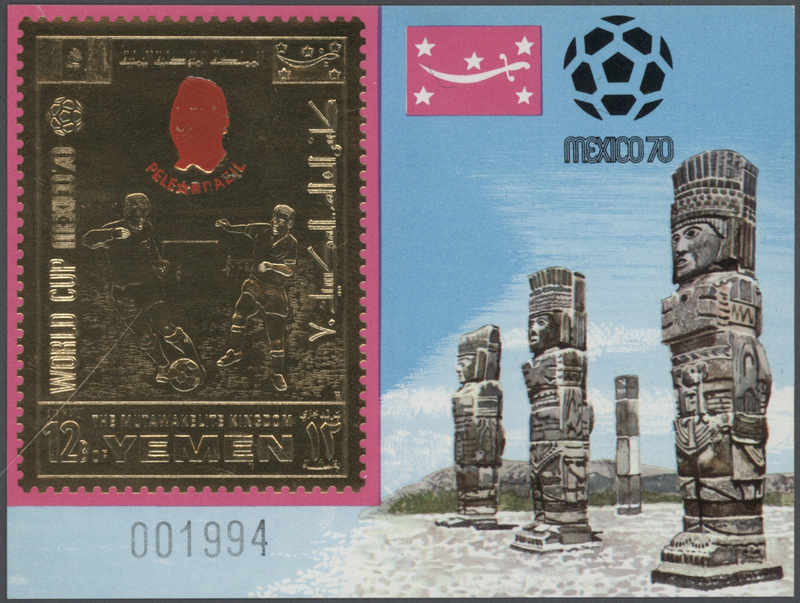 157 var. 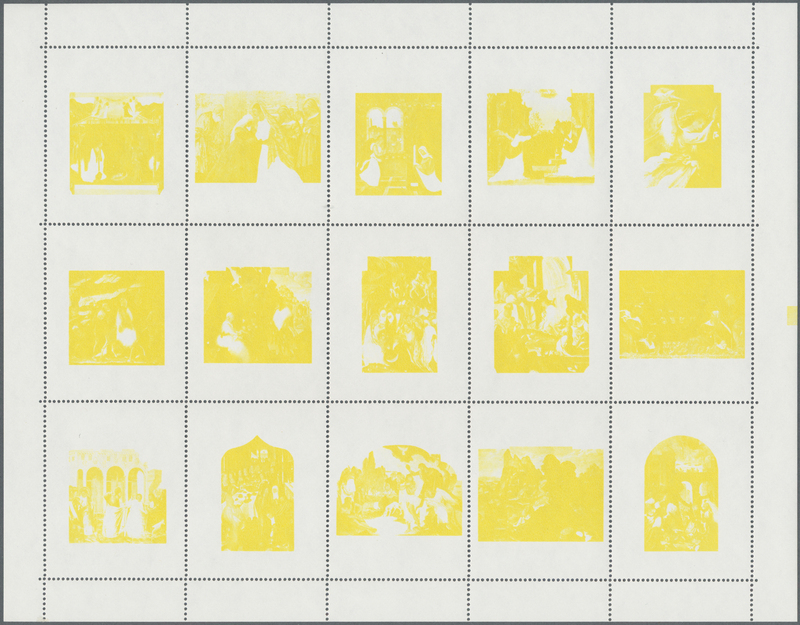 30493 postfrisch (never hinged) ** 1969/1970, accumulation of mint never hinged sheetlets/10 in six different types with approx. 500 each incl. 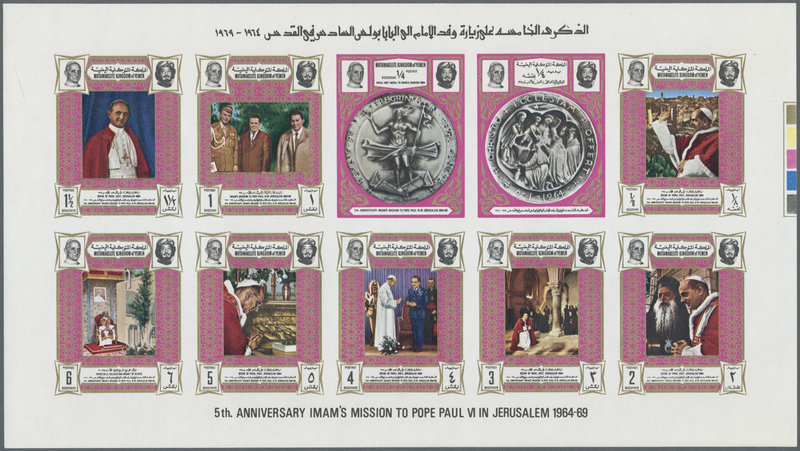 1969 Pope Paul VI. in Jerusalem perf. and imperf. (Mi. 668/77), The Holy Sepulchre in Jerusalem 6bog. (Mi. 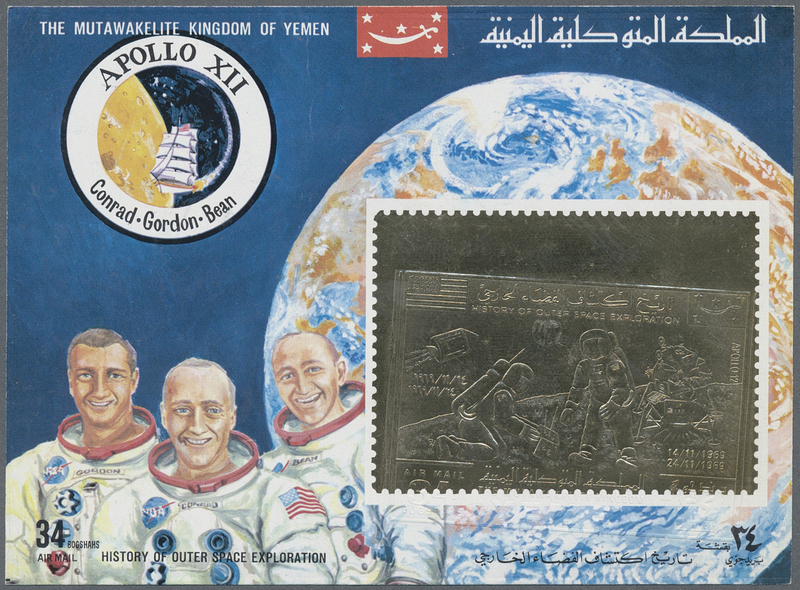 819), Return of Apollo XIII. 2bog. perf. (Mi. 496) and 18bog. imperf. (Mi. 902) and 1970 Cats 2bog. (Mi. 997), unusual offer with an enormous cat. value! 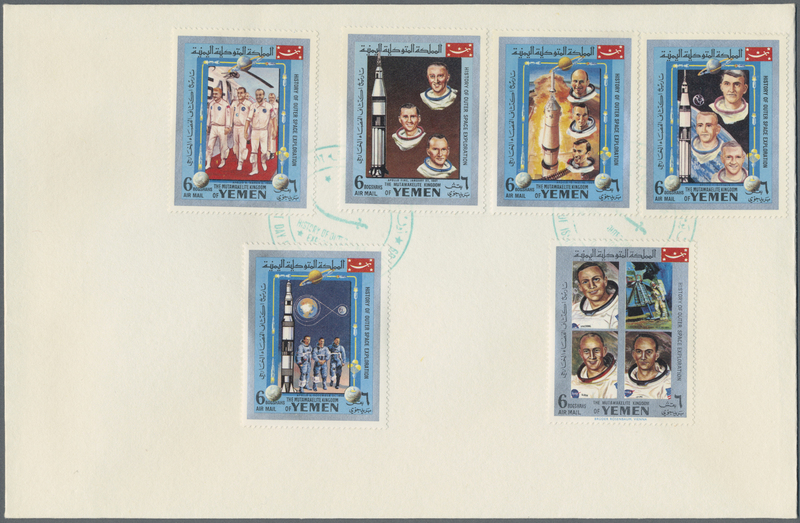 30494 postfrisch (never hinged) ** 1969/1970, collection of more than 520 "de luxe" sheets (subsequent and/or identical numbering), e.g. "Napoleon", "Famous Persons" (Kennedy, Gandhi etc. 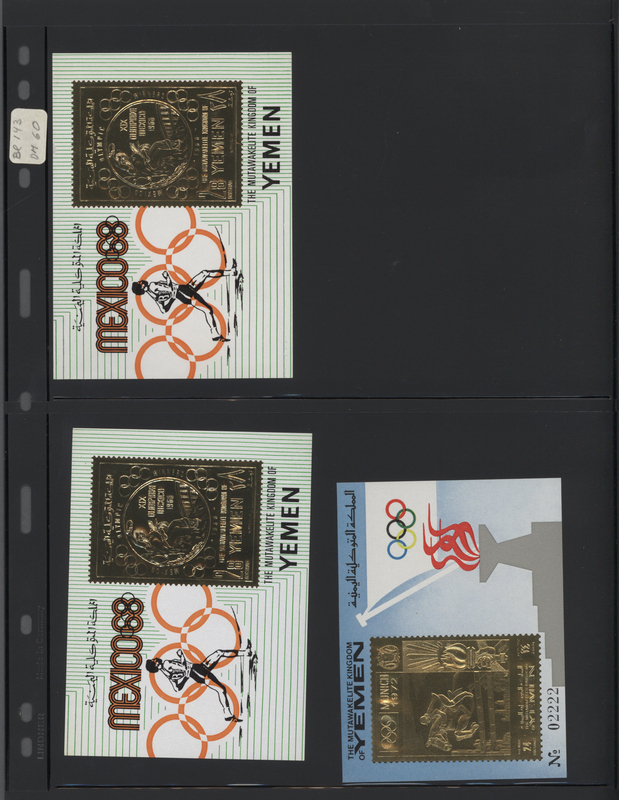 ), "Football World Championship", "PHILYMPIA London", "EXPO Osaka" etc., also combined de luxe sheet (Michel nos. 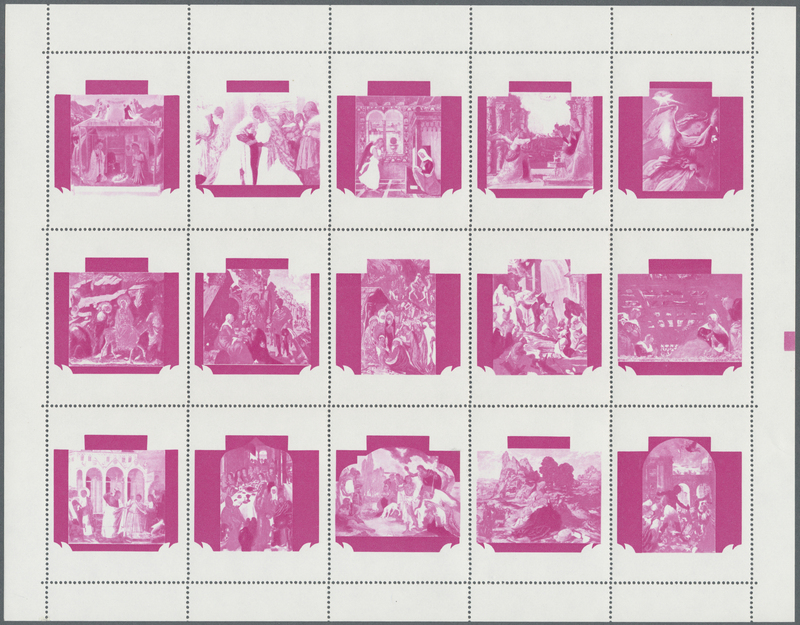 1150/52). Interesting offer! 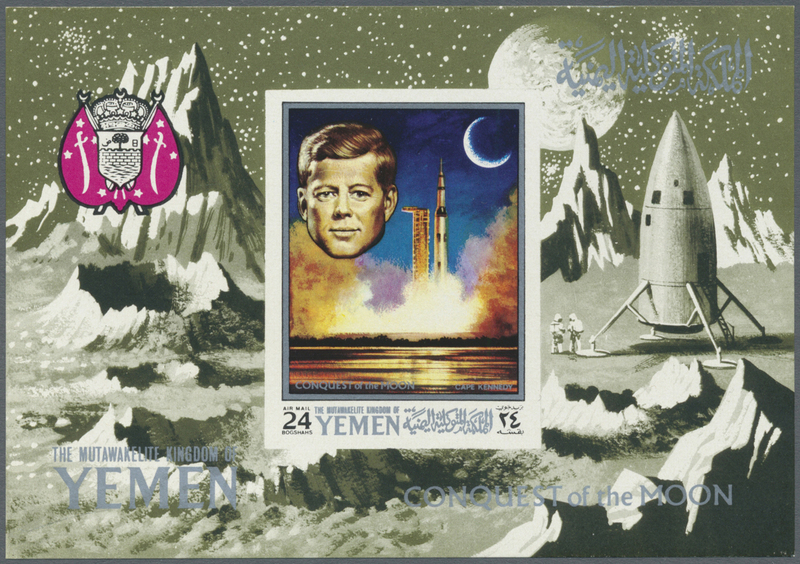 30495 postfrisch (never hinged) ** 1969/1970, GOLD ISSUES, u/m accumulation of nearly 800 perf. and imperf. stamps. Rare offer in that quantity! 30496 postfrisch (never hinged) ** 1969/1970, more than 300 GOLD FOILED stamps perforated and imperforated mint never hinged, covering topics like space, Kennedy, EXPO, Napoleon. Very high catalogue value. 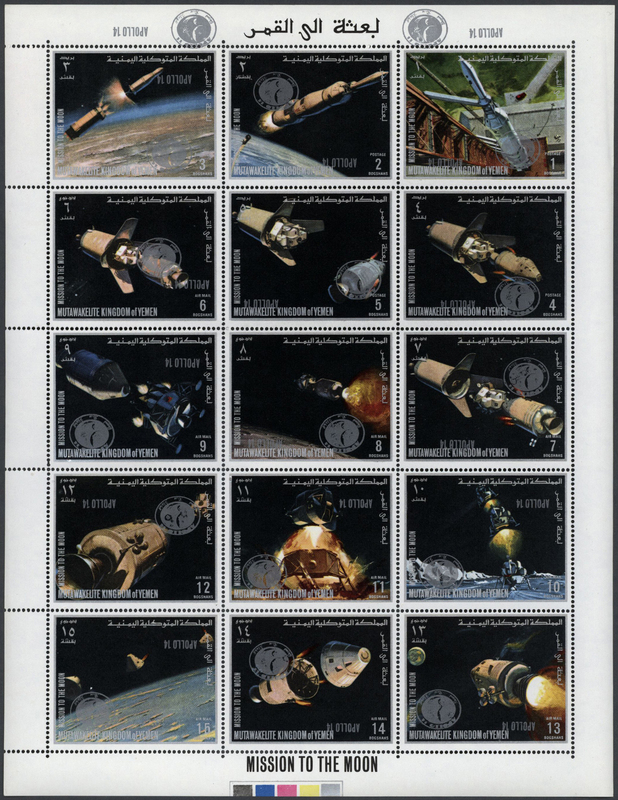 30497 postfrisch (never hinged) ** 1969/1970, Space GOLD/SILVER ISSUES, u/m assortment of eight stamps and 33 souvenir sheets, also some varieties noted.